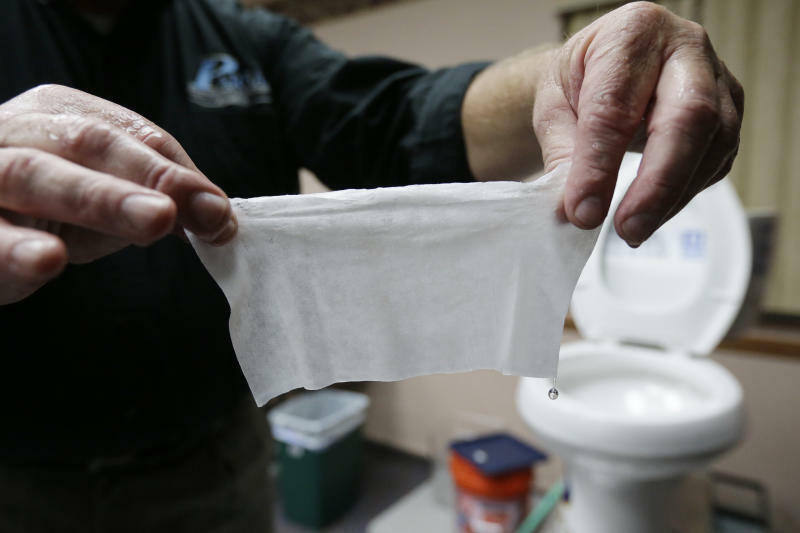 Wastewater officials across the country have been trying to spread the message that not just anything can go down the toilet, and they have recently taken aim at wipes. A public awareness campaign by the Orange County Sanitation District in California called "What 2 Flush" emphasizes that the toilet is meant only for the three Ps — pee, poop and toilet paper. It even says facial tissues are too sturdy to be flushed. Among the more unusual items it says people commonly flush that risk causing clogs: cat litter, condoms and dental floss. — Remainder, other items, including household wipes, cosmetic pads and medical materials.